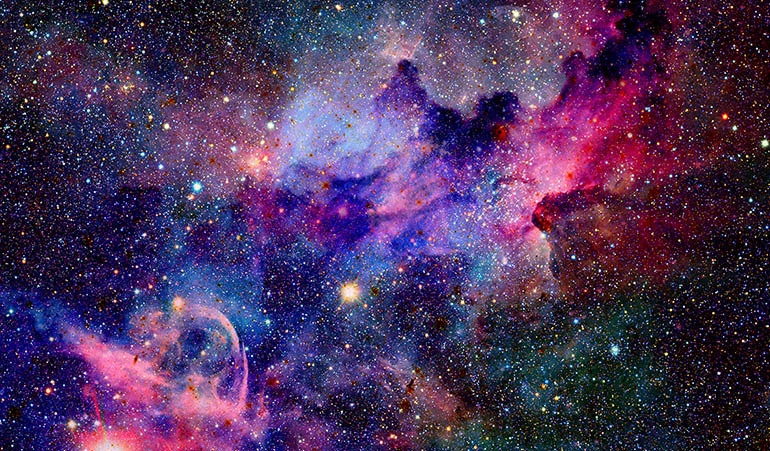 Enormous clouds of gas and dust exist all around the universe – nebulae. This is where the stars are born. Gravity forces the gas and dust to gather into molecules that spin around themselves as they become more and more dense. Some of this material may turn into planets. That’s how our solar system was created five billion years ago. We live at the bottom of an ocean – an ocean of life-giving air. Let’s turn the clock back four billion years for a moment, back to the time when the Earth was a red-hot planet. A red-hot planet in an orbit around one of the few stars that has since been named: the sun. The surface of the young planet has begun to solidify, and around it is a thin layer of air. This is because the Earth is so heavy that its gravity can retain an atmosphere – not all planets are as lucky as this. In many laboratories and in some areas of industry, gases of extreme purity are needed – and a gas can actually be manufactured so that there is only one “foreign” molecule among one million gas molecules. This is described as ppm = parts per million. On the whole, a very exceptional planet was born way back at the dawn of time. Its red-hot core of iron provided it with a powerful magnetic field, for example, and it’s thanks to this that the planet’s atmosphere is well-screened against the constant bombardment of electrons from the Sun, the so-called solar wind. The electrons hit the Earth’s atmosphere at a rate of 1600 km per second. The magnetic field reflects the solar wind and forces it down to the poles of the Earth, where the bombardment ends and materialises as the beautiful northern lights. The solar wind is tough on planets without a magnetic field. The atmosphere here is blown away from the planet and out into space. In the beginning, the Earth’s atmosphere wasn’t like the one that we know today. It consisted of 99% nitrogen and less than 1% oxygen. It was only with the existence of life that something started to happen. Plants have been unique to Earth for millions of years, and they produce oxygen, lots of oxygen. At one point, the oxygen content of the atmosphere apparently reached 35%, well above the almost 21% of today. A new interaction and balance occurred with the arrival of animals: The animals used the oxygen but supplied the plants with carbon dioxide in return. Most of the air that we breathe consists of nitrogen. More specifically, this accounts for 78.09% of the air’s density. This is followed by 20.95% oxygen, 0.93% argon (an inert gas), and just 0.03% carbon dioxide. Air also contains very small traces of other gases like neon, helium and krypton. 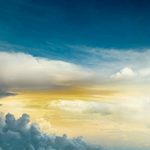 How dense is the Earth’s atmosphere? Nobody can give a precise answer to this, as the atmosphere becomes thinner and thinner the farther one moves away from Earth – in other words, there is no distinctive boundary. The Earth has a radius of 6370 km. The atmosphere is very thin in comparison to this and 99.999% of the air lies at a height of less than 100 kilometres. If you fly in a normal commercial aeroplane at a height of 10 kilometres, 80% of the atmosphere will be below you. An astronaut would tell you that the Earth’s atmosphere resembles a thin piece of skin. Thin and beautiful. We live at the bottom of the atmosphere, with a view to a clear blue sky one day and a grey sky another. Even in this respect, the atmosphere of the Earth is amazing – it’s so transparent that an enormous amount of life-giving light can penetrate all the way down to the bottom of the sea of air – down to us. No light manages to reach the depths of the sea after a few hundred metres. Gas is perceived by many as natural, city or propan gas, which are gases that are only used for fuel. In reality, the word “gas” only actually describes the state of a substance, in other word that the substance is in a gaseous state. But even though the light seems invisible, it is very much still there and nearly always on the move. And it weighs a lot more than most people think. One cubic metre weighs approx. 1.2 kg. Therefore, an ordinary living room contains around 60 kg of air. We use the word air on a daily basis. The technicians prefer to call it something else: In their world, air consists of a number of gases. 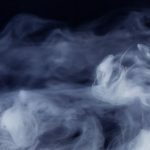 The term “gases” is primarily used for substances that appear in the form of gas caused by conditions that exist on the Earth’s surface – all substances have three states: These can be solid, liquid or gaseous. Think of water, for example, which can be found as ice, liquid and vapour (invisible) in the atmosphere. The fact that ordinary air can turn into liquid is considered by many to be real magic. 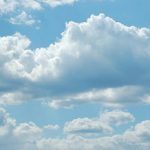 But by cleverly utilising the physical laws that apply to gases, the air can be cooled down far enough to become liquid – but even more than that: the air can be separated into its constituent gases, as they turn into liquid at different temperatures. And just like that, gases such as oxygen, nitrogen and argon are produced out of thin air. Hydrogen clouds can be found all over the sky and form a natural part of a star’s life. Smaller stars can live up to 10 billion years, while big stars burn out faster and only live for a few million years. Considering that the universe is about 15 billion years old, one could easily think that they should have burned out long ago, and that the sky would now be pitch-black. But fortunately, there is a constant development of new stars being born and old ones dying, and the gas clouds between the stars are part of this process. Stars are a product of gas clouds that collapse under their own gravity. This creates local clumps of gas that become more and more dense and therefore hotter and hotter. When they become hot enough in the centre (>1 mill. °C), the processes of the nucleus turn into a fusion process where hydrogen and hydrogen become helium, just like in a hydrogen bomb. The violent processes threaten to break up the gas cloud, but its gravity holds it together. If the cloud starts to collapse again, the temperature rises in the nucleus and the nucleus processes increase. This induces the star to grow, resulting in a drop of temperature and the nucleus processes decreasing. Later on in the star’s life, the nucleus temperature will be high enough to fuse helium together and helium to iron. Oxygen and nitrogen are similarly formed in supernovas. And each time a star enters a new phase – and eventually dies – its gases are spread out into space, where they form the creation of new stars. 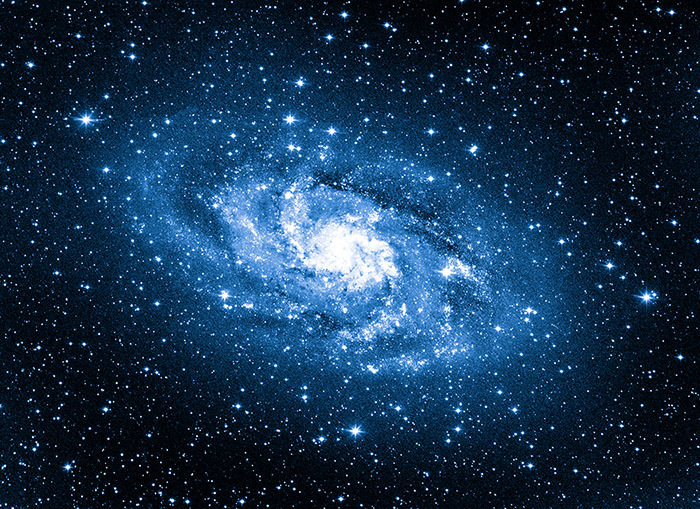 This means that stars can actually be called the “gas factories” of the galaxy, which create the heavier elements that form the basis of permanent planets and life, like here on Earth. The next population of stars will therefore include several heavy elements that, during their formation, will be “centrifuged” to a star like the sun, from where the inner planets (Mercury, Venus, Earth & Mars) were created when the solar system was formed 5 billion years ago.